Hill running is always tough, whether in a race or in training. Not well prepared for the hills? Then a tough one can really mess up your race. But conquer the hills and you will reap massive benefits. 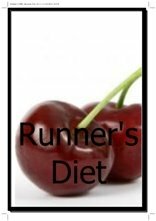 You will become a stronger, better runner as a result. I am lucky enough that in the area I live in there are plenty of hills. So I make them part of my long and easy runs quite often. I really notice the difference it makes in races. I fly by people who don't have the hill running experience. It can make a big difference to your performance. So read on for five hill running tips and some secret hill running workouts that are guaranteed to boost your performance. Running hills is tough enough as it is. Therefore, when possible, try to do it off-road. This will reduce the impact on your knees and legs which lowers the risk of injury. 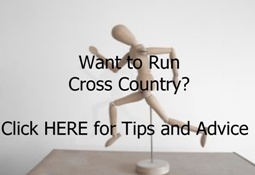 The uneven surface of off-road running will also help you improve your balance and increase your core strength. When you are running up a hill, try to stick to effort, not pace-rule. 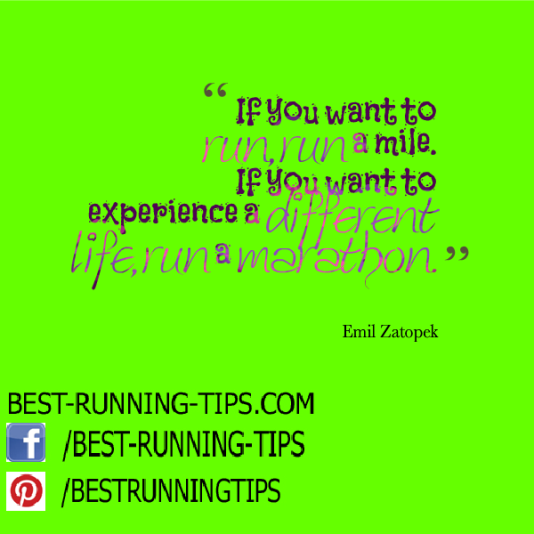 So run up with the same effort you were previously doing, but not the same pace. Trying to maintain the same pace will wear you out quickly. It will inevitably lead you to building up too much lactic acid in your legs. You might then be the fastest going up the hill, but after the hill is over, you do not have any strength in your legs left to run the rest of the race! When you get to the top of the hill, your initial reaction is to relax and take it easy. After all, the hard work is done, your body is screaming for a rest. It is however better to not immediately relax, but push through a little longer. This will start the recovery process immediately and help your body get rid off the built up lactic acid in your legs. When running downhill try to get used to landing on the front of your foot, instead of on your heels. When you land on the bottom of your feet you are unconsciously holding yourself back, slowing yourself down. "Ball-of-the-foot striking" instead of heel striking may come unnatural to you at first, especially running down a hill which can sometimes make you feel like you are losing control over your legs. So practice this until you are comfortable with it, before you apply this in a race. 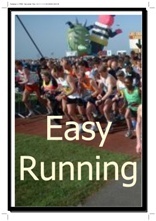 It is a great way to work on improving your running cadence. And it is amazing how much faster you can go when you stop holding back. In big races with hills I power past dozens of people uphill, but then downhill I will pass at least as many without using up much energy. So many of us hold back, whereas you just need to practice to let go. A friend of mine has two simple rules for going downhill: let go of your legs and let go of your brain! Climbing up the hill is a lot easier if you reduce your stride length, but increase your stride rate. Again, when the hill is steep, even when you are used to heel-striking, ball-of-foot striking will help you get up the hill faster. Compare it with going up the stairs. Taking the steps two at a time is much harder than taking the steps one at a time. So take small, fast steps and it will be easier to battle those hills. Below are some of the hill running workouts you could do to help build muscle mass, strength and endurance. Run at threshold effort, not pace. Run up 1 min, run 1 min down. That's one repetition. Repeat 12 - 20 times. The benefits of this workout is that you build a lot of strength and muscle endurance. Another great way to build up strength in your legs is via "normal" tempo running workouts. Sprint up the hill for 30 - 45 seconds. Then walk or jog back to the start. Repeat this sequence 8 to 12 times. This helps you increase your power, strength, your speed endurance and also your mechanical efficiency. The previous two workouts will really help you conquer the hills, but in accordance with hill running tip #3 before, "Go Beyond the Summit", you also need to train yourself to go hard once you have reached the summit. 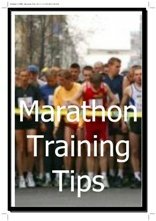 This will help you condition for a race when you should do this as well, even though you will be inclined to relax and take it down a notch. So, run up 30 - 90 secs hard and then run down for 30 - 90 secs at the same effort. Repeat 8 to 12 times. Incorporating hills in your normal workouts is a pretty good way to build up your strength and endurance. Include a few of these secret hill running workouts in your training schedule and you will even reap more benefits. 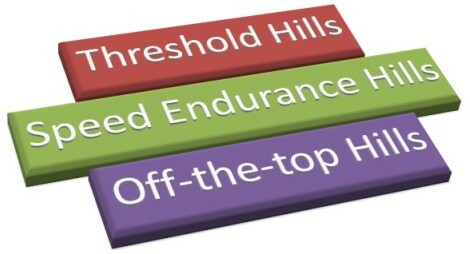 Do hills consistently and see what happens the next time you compete in a race. I bet you will be pleasantly surprised!